Last week leaders of the Australian greyhound racing industry released a new "Animal Welfare Strategy," and claimed it was the next step in establishing "animal welfare excellence." We support efforts to reform greyhound racing, and ordinarily would applaud such a move. In this case, however, it turns out that this new "strategy" is nothing more than series of platitudes and bromides, without any real action. "To continue to implement specific and innovative changes that will ensure that the industry Greyhound Adoption Program’s (GAP’s) are continuing to operate in the most effective manner possible to meet industry demands." "This list of vagaries has obviously been thrown together at the last minute and we should all view this announcement sceptically. Its timing is clearly political and proves that the dog racing industry does not view greyhound welfare as a serious policy issue." "Animal welfare is one of our major priorities and this joint strategy builds on the significant progress already made ... over the past decade." Of course, talk is cheap. It is yet to be seen if the Australian dog racing industry will actually do anything to address animal welfare. We shouldn't bet on it, considering their long track record of scandals and humane crises. In recent weeks information has been released about thousands of unprofitable greyhounds being killed, racing dogs dying after being given to veterinary schools, and other problems. 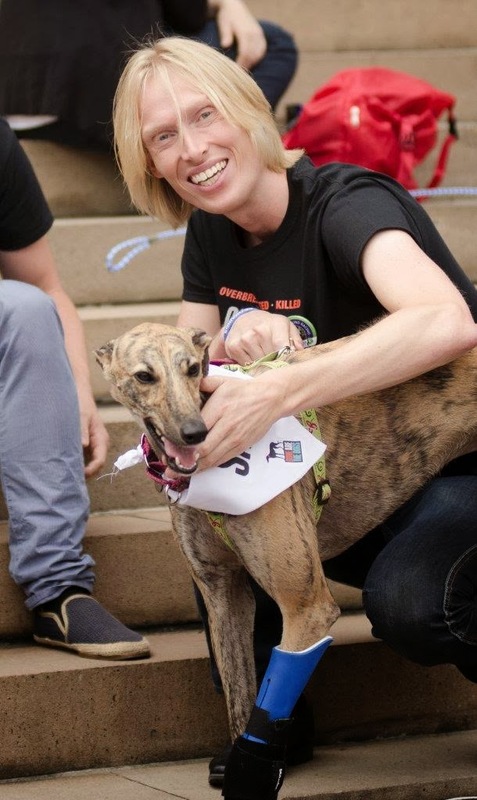 In the meantime, there is a groundswell of support for ending greyhound racing Down Under. We are proud to play a role in this budding movement, and are optimistic that the best days are ahead of us when it comes to the humane treatment of greyhounds in Australia. Believe it or not, some animal welfare advocates are being completely taken in by this obvious smokescreen from the GRNSW and the GRV. There's actually a petition campaign encouraging people to congratulate and thank the racing industry for "guaranteeing" greyhounds a "long and happy life"! I encourage supporters of greyhound welfare to submit comments objecting to this petition, which appears at http://forcechange.com/105729/praise-improved-standards-for-greyhound-racing .